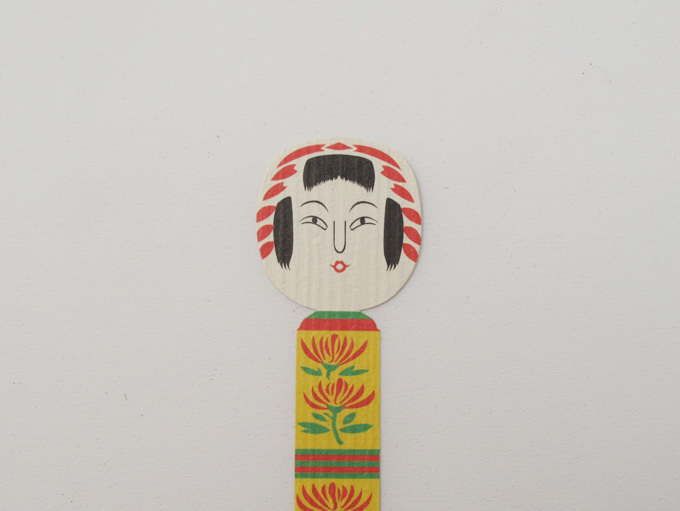 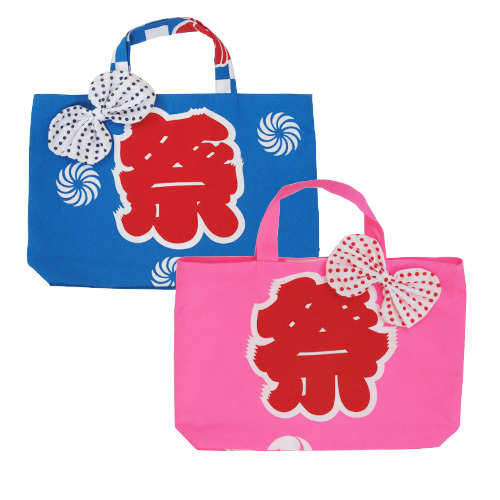 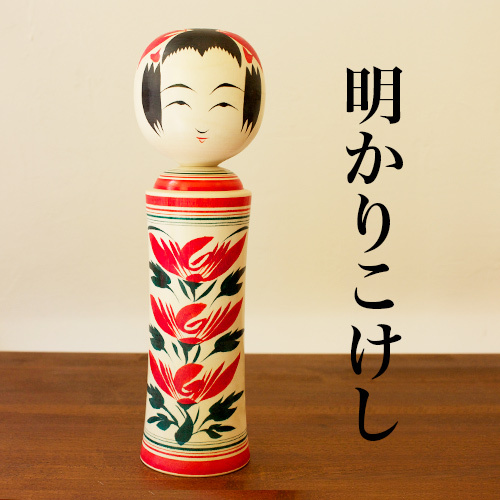 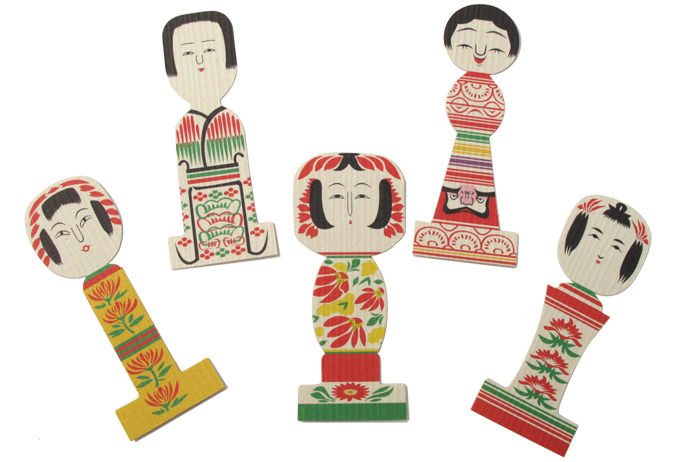 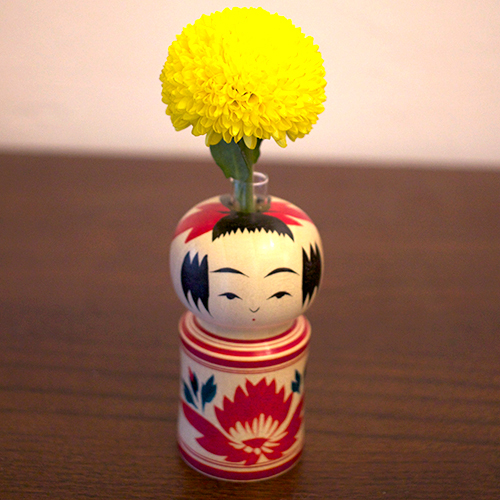 KOKESHI are mostly made from wood, traditional ornaments with shapes of girl’s head and trunk. 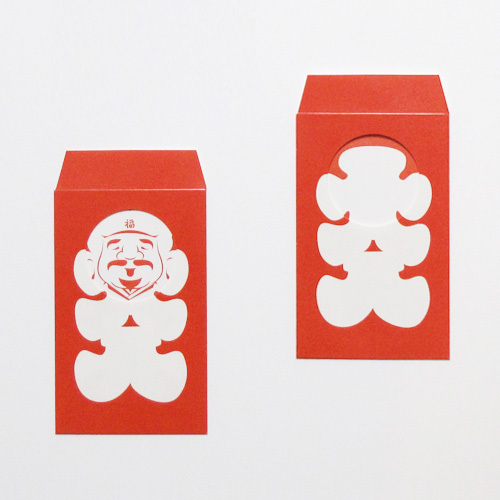 Their shapes vary from one area to another, with various facial expressions. 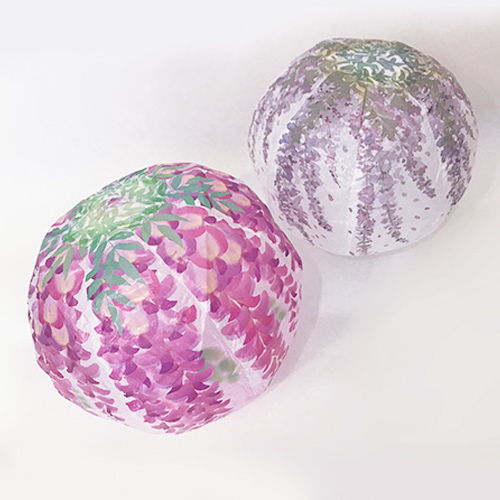 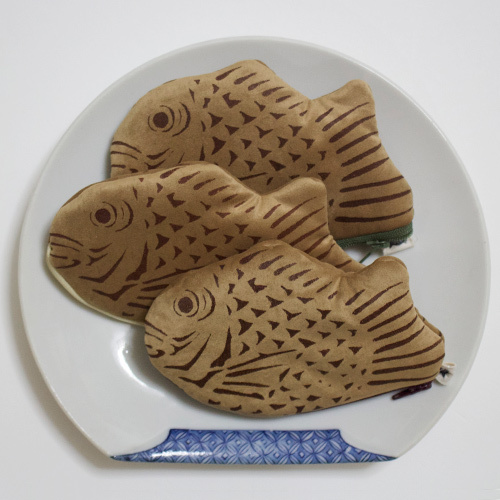 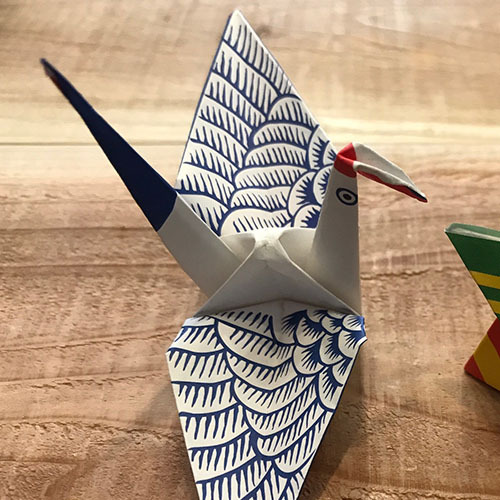 Taken by the charms of KOKESHI, Mr. Jikuhara and others from ORIGAMI team “cochae” re-designed the traditional KOKESHI, to fit into the modern life styles. 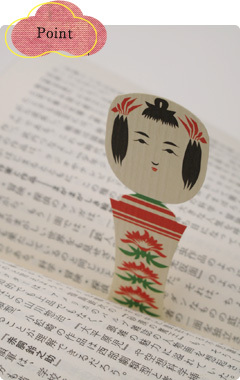 KOKESHI + SHIORI (Bookmarks) = KOKESHIORI! 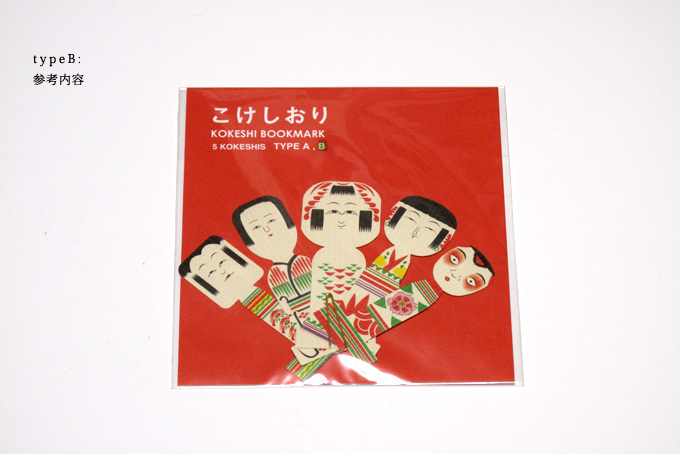 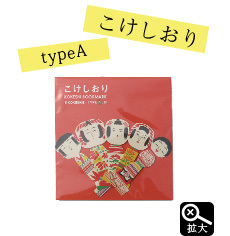 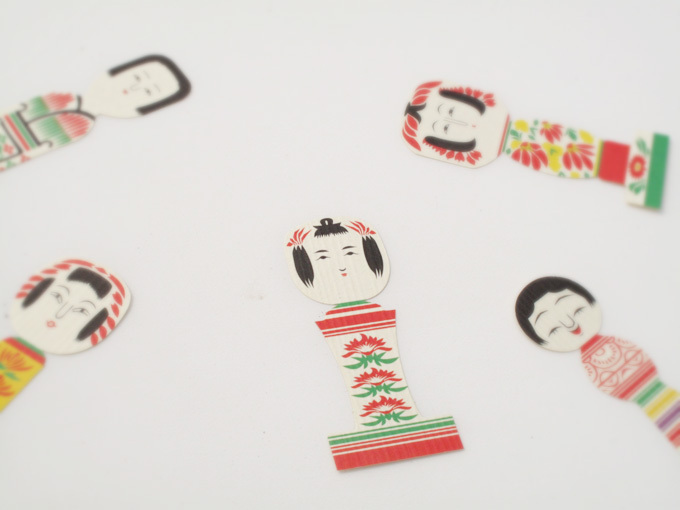 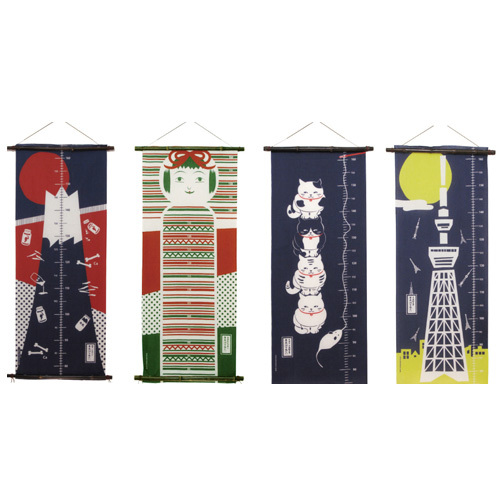 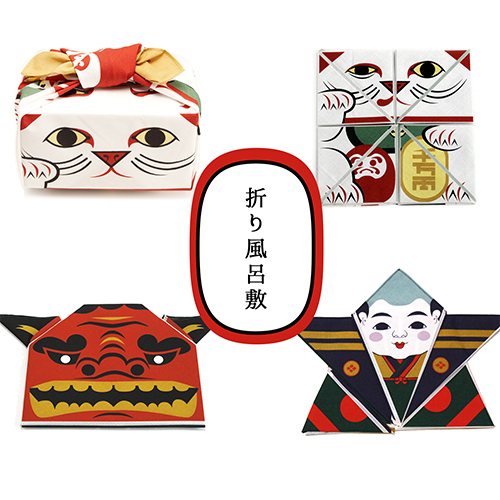 One set of KOKESHIORI has five different bookmarks that are shapes of KOKESHI. 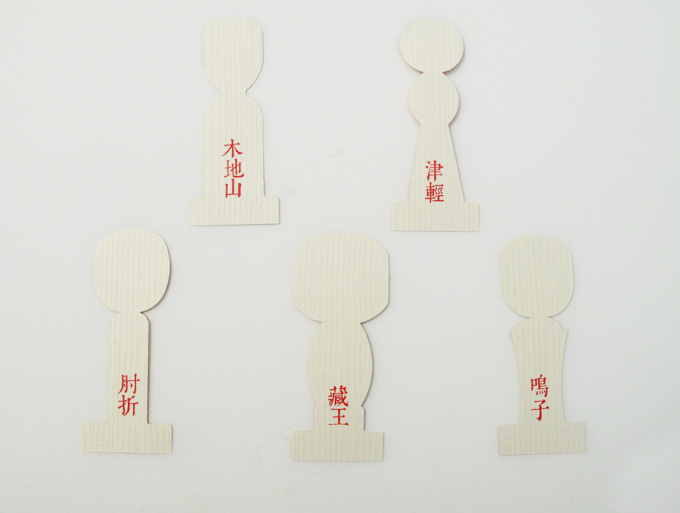 "Tsugaru", "Kijiyama","Naruko", "Hijiori" and "Zaou" – birthplaces of each KOKESHI are written on the back. 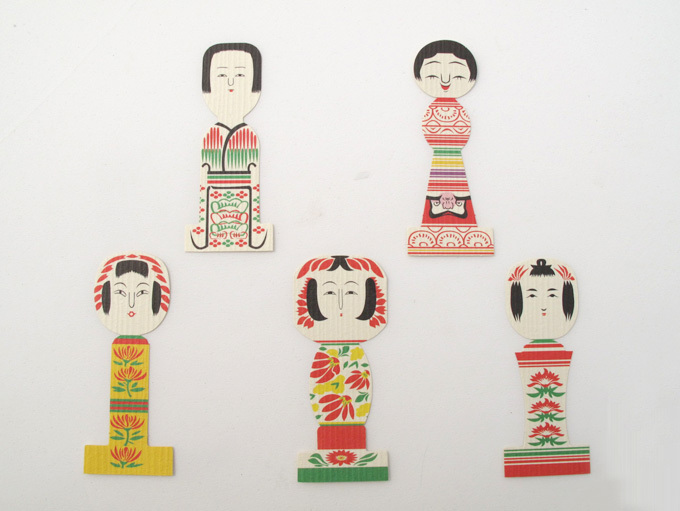 Usually, we do not have too many opportunities to learn different faces and styles of KOKESHI, but looking at these various cute faces makes me realize that Japanese people sure love to create characters… even in old times. 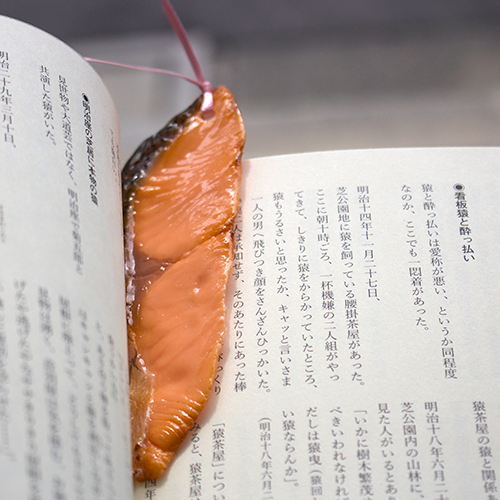 Insert KOKESHIORI perpendicular to a book’s gutter. 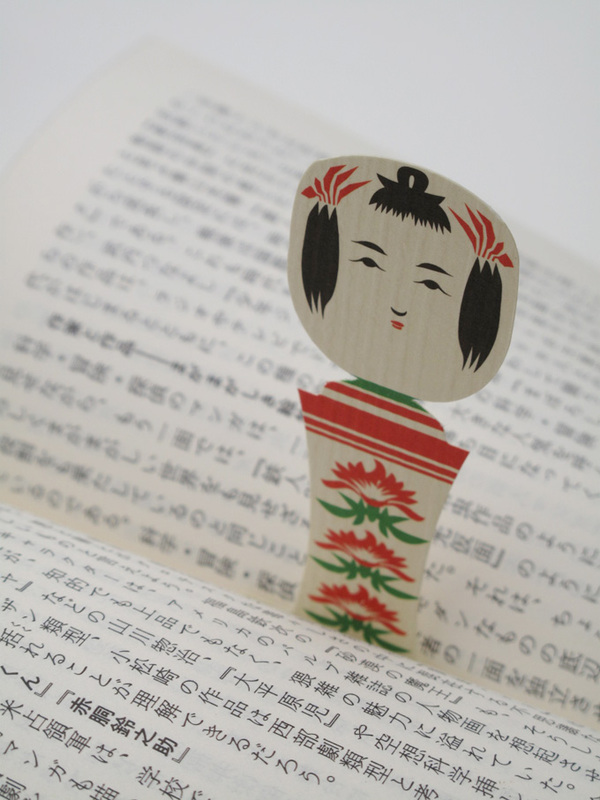 When you flip through the pages, KOKESHIORI will pop up. 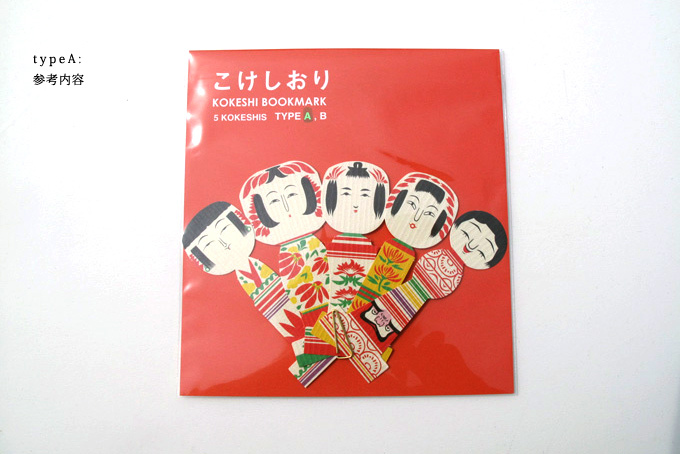 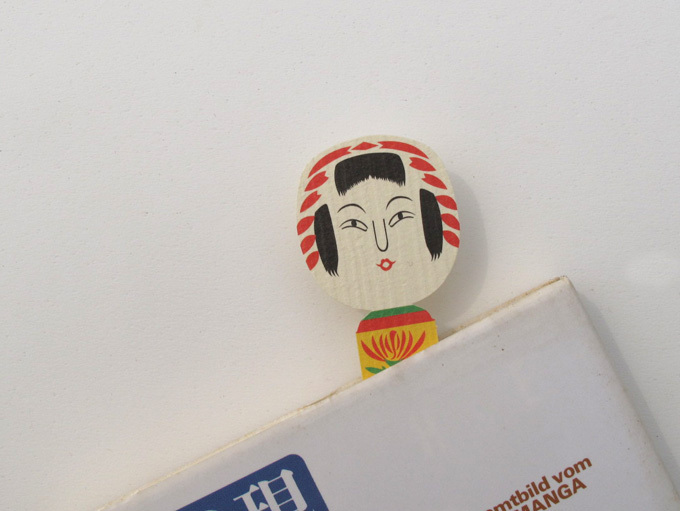 Bookmarks are essential as guides for your return to the book, but KOKESHIORI also gives you that fun feeling of hide-and-seek, flipping through the pages and finding the cute KOKESHI face! 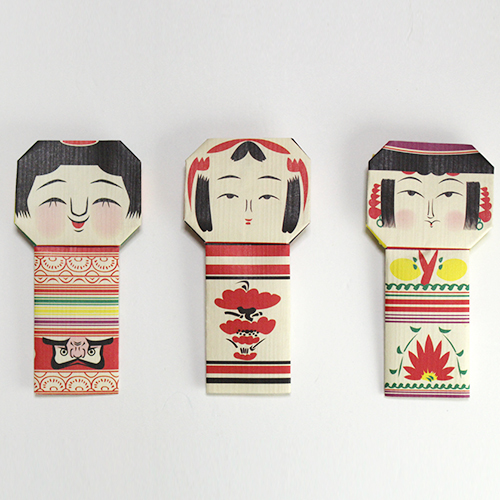 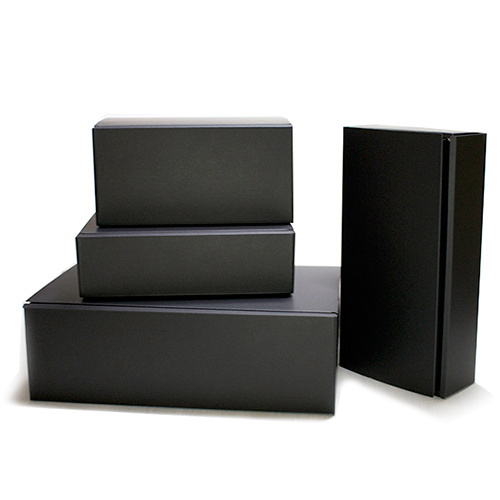 This will make a great gift for a book lover.